Have You Made Valentine’s Day Plans? Have you made Valentine’s Day plans yet? If not, what are you waiting for? You don’t have to plan an extravagant vacation or buy a 2k diamond, even a small token of appreciation to your loved one will be appreciated. Valentine’s Day falls on a Thursday this year and that’s the perfect time to take your sweetie out to a mid-week dinner. 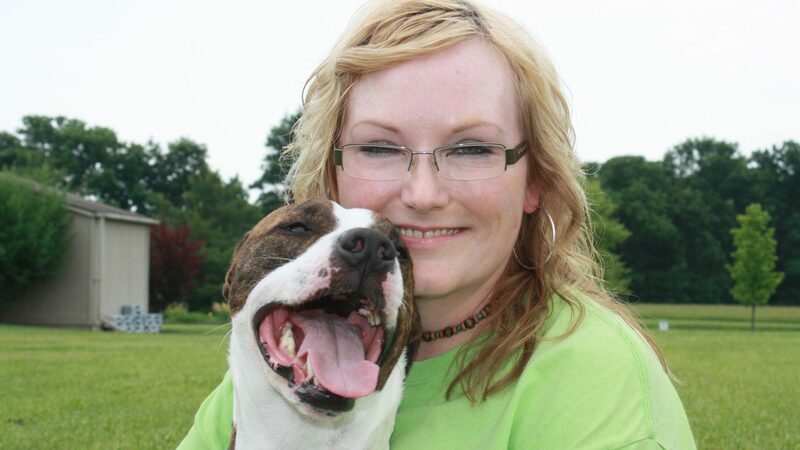 If it’s in your budget, make it a 3 weekend and book a pet sitter. 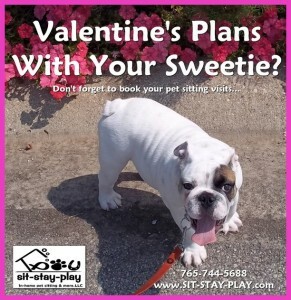 Don’t forget to book a pet sitter for your Valentine’s Day plans. in the mix. He seems to know when you want some time alone with your sweetie and he decides to chew up the couch or bust out of the crate when you leave. 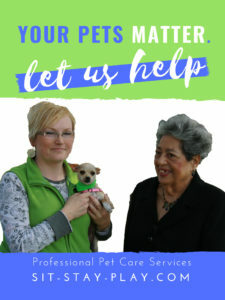 If you hire a professional pet sitter, we can help alleviate that problem. Why Include Us In Your Valentine’s Day Plans? Hiring a professional pet sitter will help make your Valentine’s Day plans better. We’ll help make sure your dog is happy and safe so you can be focused on the human in your life, not worried about the pet, or pets, at home. It still isn’t too late to book but you need to hurry because Valentine’s Day is right around the corner. That doesn’t give you much time to plan something special but if you can multi-task and know what your special someone likes, I’m sure you can get it done. 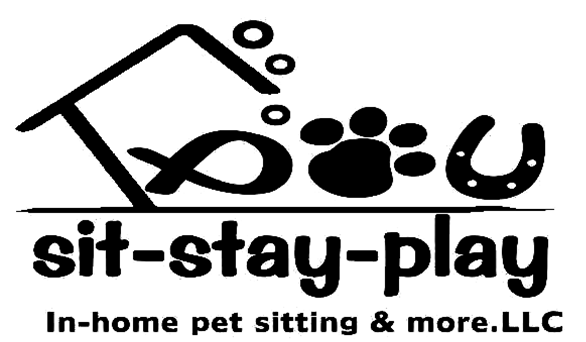 Book your pet sitting visits today before our schedule is full. #1 – Click on the link above and it will take you to the page where you’ll fill out a short service request. #2 – After we receive your request we’ll contact you to discuss your needs and schedule a consult. #3 – Consultations usually fun 30-45 minutes at your home. We’ll fill out paperwork, pick up house keys and payment and get your scheduled for services. Super easy! One quick note: please make sure your voicemail is set up so we can leave a message if you don’t answer. We hope you enjoy your Valentine’s Day plans with your sweetie (both human and pet) and look forward to meeting you. P.S. 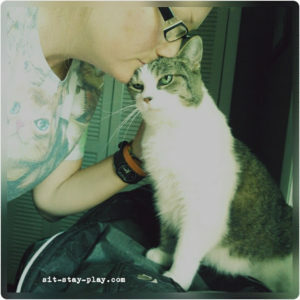 Click this link, schedule your pet sitting services and make your Valentine’s plans a big hit!! P.P.S. Connect with us on Facebook, Twitter and Instagram. We run social-only specials and want you to get a deal when you can!